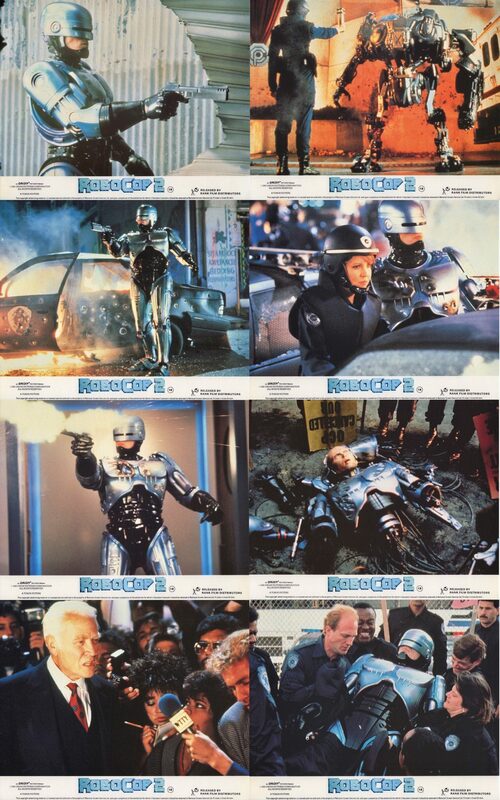 RoboCop 2 is a 1990 film directed by Irvin Kershner, unknown at the time was this would be the last film he directed. 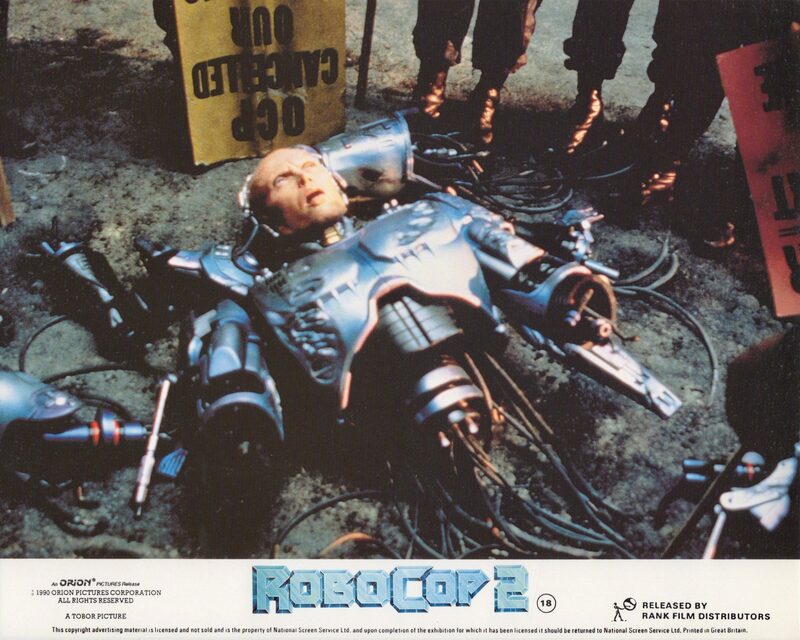 It was produced by Jon Davison with Frank Miller and Walon Green writing the screenplay. 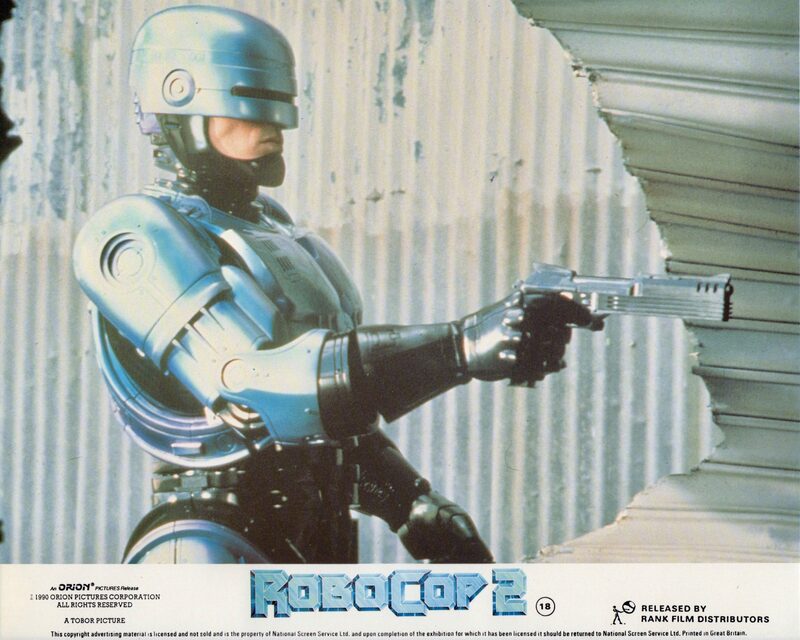 The characters are based creations by Edward Neumeier (also known as Ed Neumeier) who is best known for his work on RoboCop and Starship Troopers. 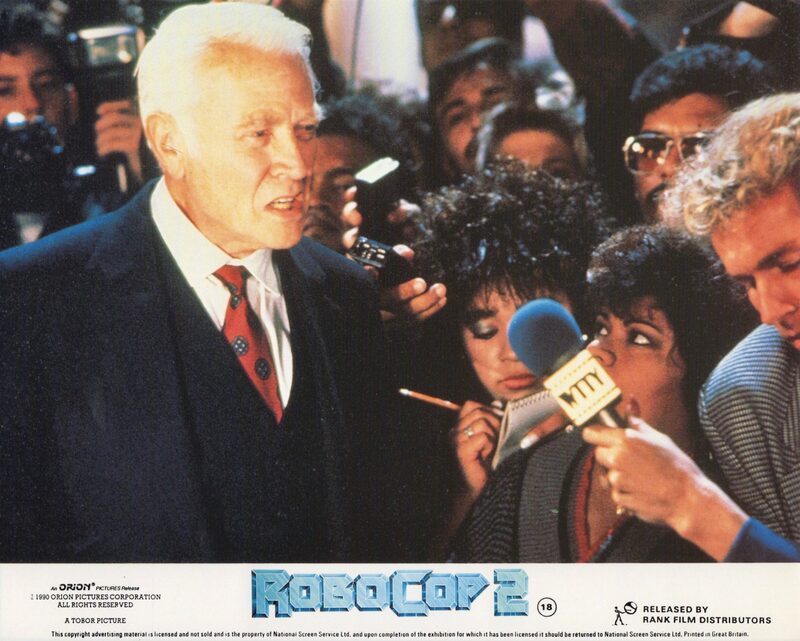 The film stars Peter Weller, Nancy Allen, Dan O’Herlihy, Belinda Bauer, Tom Noonan and Gabriel Damon. 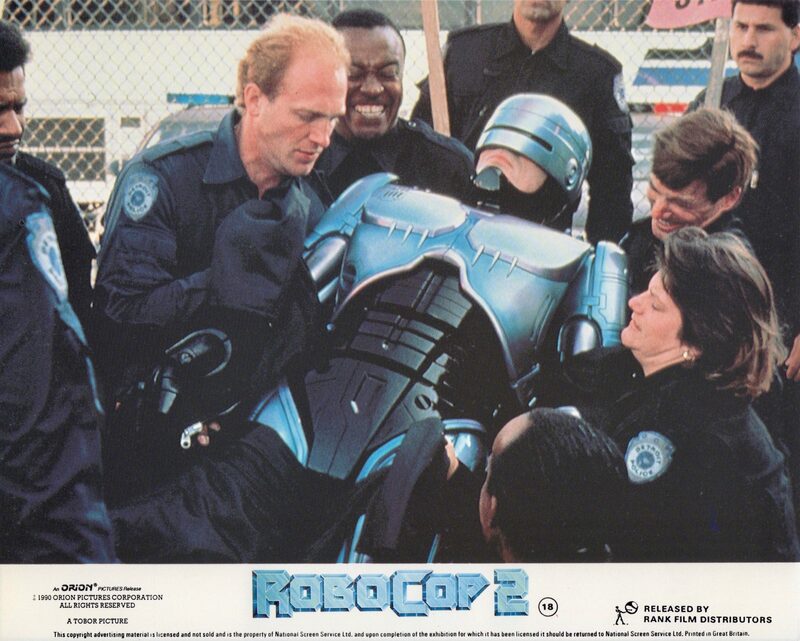 RoboCop 2 follows the success of RoboCop and again is set in the dystopian metropolitan Detroit, Michigan. The storyline follows a new crime syndicate who produce the narcotic, Nuke. 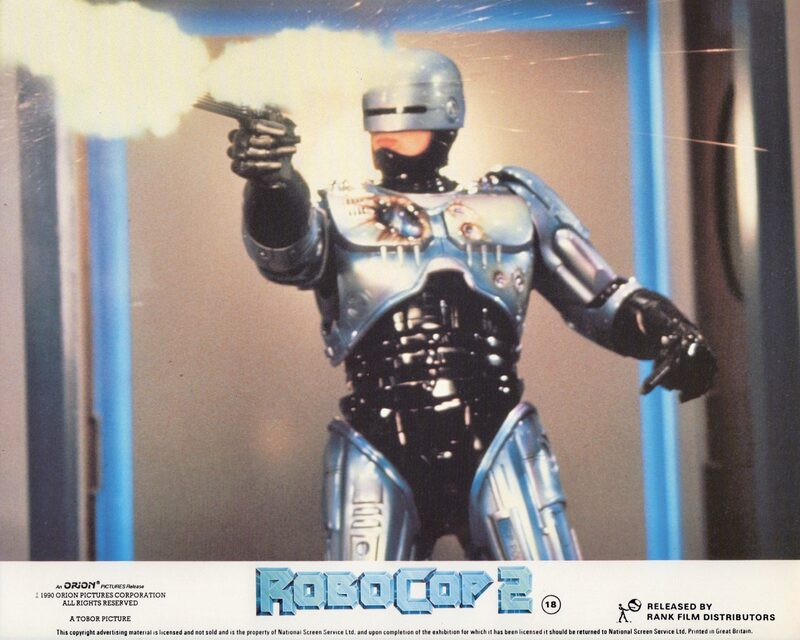 With the onset of the Nuke pandemic, RoboCop struggles to maintain law and order, so OCP decides they need a new and improved cyborg. After many failed prototypes and successor is created, but with one problem, he is a former drug lord, Cane who himself is addicted to Nuke. Principe photography was mainly filmed in Houston, Texas. The director, Irvin Kershner, chose Houston as an ideal location for filming due to the calmness of Downtown Houston at night. As the majority of the filming was completed during the winter months having snow and rain would have been inappropriate for the production. 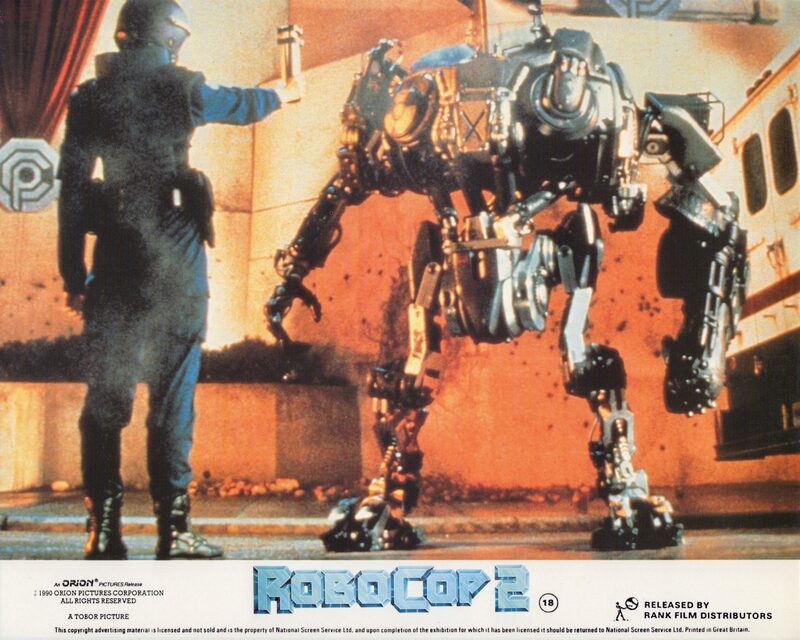 When the film was released in 1990, it became the 2nd highest grossing film on its opening weekend. This was despite receiving very mixed reviews from critics and fans alike. Ironically, the film featured in many news reports in 2013 due to the plot predicting the city of Detroit filing for bankruptcy. 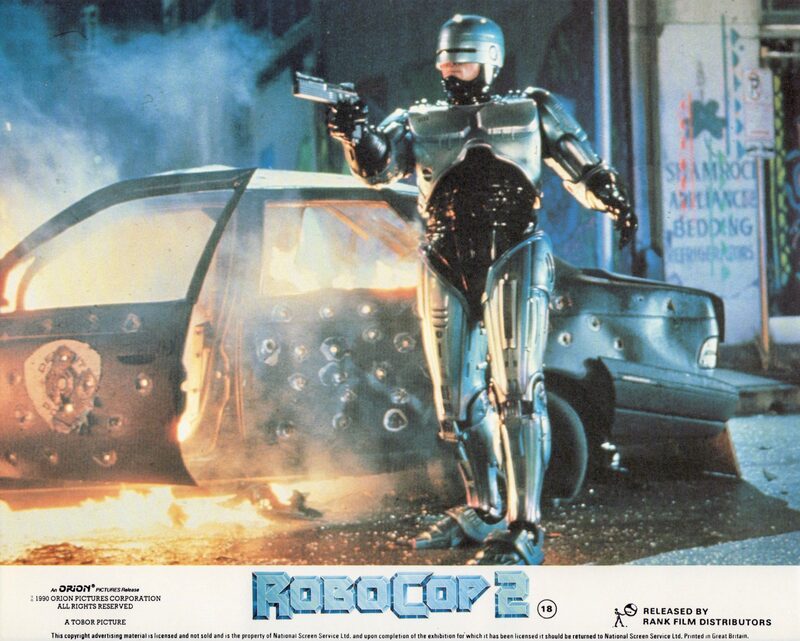 RoboCop 2 was made on a budget of $35m and grossed $45,285,202 in box office receipts in the US.